When you’re trying to choose a credit card to apply for, a variety of factors might come into play, such as the promotions and rewards being offered – and whether you’re even eligible for it. Once you have a card, over time you might find your needs or purchasing patterns change, or the card might not offer the reward or perks it once did. In this case, it’s tempting to see what other card issuers are offering. However, it’s also worth looking into potential upgrades within the same company. Fortunately, if you’re a Capital One credit card holder, upgrading can be a fairly quick and straightforward process. Just follow these steps to move up to a credit card with the features you want. How do you know if you’re eligible for an upgrade? There are a few ways, but typically, cardholders who are eligible for an upgrade will be notified through a banner on their online account or via mail. However, if you don’t receive or see any of those upgrade alerts, you can always call customer service to inquire. If you are eligible for an upgrade, you can either accept the offer over the phone or accept the offer online by logging in and selecting “Upgrade Now” on the offer you would like to choose. There is no credit check associated with an upgrade, and your existing APR and limits will remain the same unless otherwise stated as part of the upgrade offer. Additionally, your card number will remain the same, meaning you can continue using your current card until the new one arrives, which should be within seven to 10 days. It’s as simple as that. Capital One upgrade offers are typically available for a limited period of time, although new ones become available regularly if you meet the requirements. As such, if you’re thinking about upgrading, be sure to regularly check your mail, log into your account, and/or contact customer service to inquire about current offers available to you. And, of course, if there is a card you’d like to upgrade to but do not see the offer, always contact customer service to see if you’re eligible despite the absence of a specific offer. There are numerous Capital One cards worth considering if you want to upgrade. But here are a few Capital One credit cards. 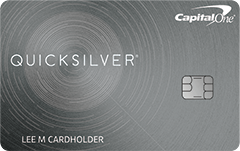 The Quicksilver card earns cardholders 1.5% cash back on every purchase, every day, making it a good card for those who want the perks of cash-back rewards without all the category caveats that come with some other rewards cards. 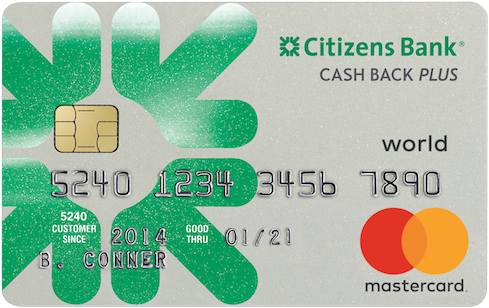 As an added bonus, cash back rewards do not expire and can be redeemed in any amount. Additionally, the Quicksilver card also comes with all of the Visa Signature benefits like travel upgrades, extended warranties, and shopping discounts. The card’s current variable APR falls between 14.49% and 24.49%, and there is no annual fee. Perfect for those who like to or have to travel frequently, Venture from Capital One earns users 2x miles for every dollar on every purchase. As an added bonus, cardholders who book hotels through Hotels.com/Venture, and pay with their Venture card will receive an extra 10x miles per dollar. Cardholders also receive all the typical Visa Signature benefits. The current APR is typically between 14.49% and 24.49%, and the annual fee is waived for the first year, though each year after the fee is $95. If you’re a business owner and looking to upgrade your card, you might want to consider the Capital One Spark Cash for Business card, which offers unlimited 2 percent cash back on every purchase. Cardholders can also receive free employee cards, all of which will add to the rewards. 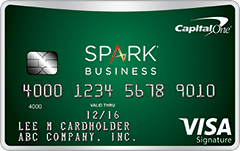 Additionally, business owners will receive fraud protection and alerts through the Spark Cash for Business. 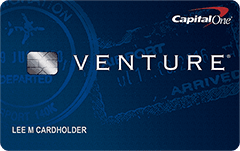 The current variable APR is typically around 18.49% and, similar to the Venture Rewards Card, the annual fee is waived for the first year, and all subsequent years will be subject to a $95 fee. If you’re currently a Capital One credit card holder but would like to get a card that offers a few more rewards and perks, check to see if you’re eligible for an upgrade. If so, be sure to choose the card that offers the perks and rewards that best meet your needs. If you would like to see more options, you can review the best Capital One credit cards. My card is pretty much useless. Can I close it out and reapply for a bonus card? 50,000 points are being offered currently. I got the card so long ago before bonuses were even offered.